Nice little BBC news item on the growing market for applications for smartphones. Sales in the world’s mobile phone industry are expected to fall this year but downloads of phone applications is one area which is thriving. Applications create new things to do on a phone and almost a billion of them have been downloaded to Apple’s iPhone. Rory Cellan-Jones examines the emerging new trend. BBC reports on a survey about the possible identity theft issues from mobile phones. A survey of London commuters suggests that 4.2m Britons store data on their mobiles that could be used in identity theft in the event they are stolen. Only six in 10 use a password to limit entry into the phones, according to the survey by security firm Credant. The survey found that 99% of people use their phones for business in some way, despite 26% of them being told not to. Of course from an educational perspective, if an institution is giving mobile devices to students, they do need to be informed about what data the students put on that device and what to do if the device is stolen? Vodafone and Google at the Mobile World Congress in Barcelona have announced the G2 HTC Magic, the second Google phone. A new phone based on Google’s operating system Android has been unveiled by Vodafone at the Mobile World Congress in Barcelona. The touchscreen HTC Magic will feature a 3.2 Megapixel camera, Wi-Fi, and GPS, but no slide-out keyboard. 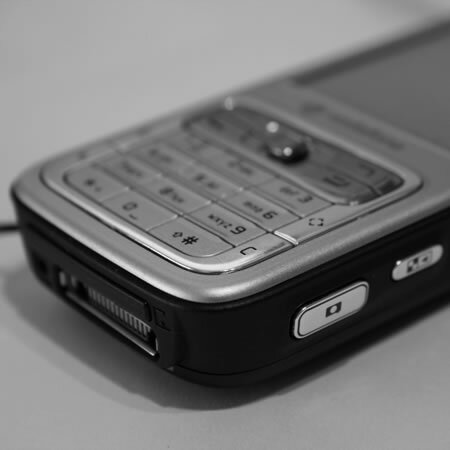 The G2 phone does not have a keyboard like the G1, but does feature improvements to the Android operating system which have come from user comments who use the G1. Actually it’s not called the G2, but the HTC Magic!